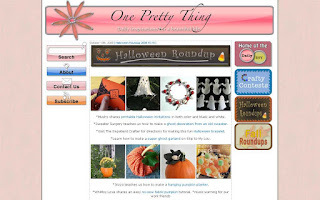 I can not believe it, but I am on the Halloween Roundups on One Pretty Thing!! I am gleeing with excitement! YAY! I get so excited when other people are excited about being in a Roundup!!! Thanks so much for the mention!